Police have arrested four people after a man suffered a stab wound to his stomach in Hastings. Officers were called to an address in Battle Road, St Leonards, at 12.40am on Sunday (November 4). Police said they were responding to a report a man had been stabbed. A Sussex Police spokesman said: “A 33-year-old man was taken to the Royal Sussex County Hospital in Brighton to be treated for a stab wound to the stomach. The police spokesman said a 29-year-old man was arrested on suspicion of causing grievous bodily harm and after being interviewed was released on police bail until December 2 while enquiries continue. 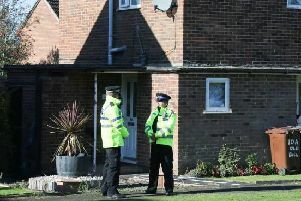 According to police, another 29-year-old man was arrested on suspicion of assisting an offender. A 27-year-old woman and a 34-year-old man were arrested on suspicion of obstructing police, said a police spokesman. After being interviewed all three were released under investigation, police said.